The Aussie ad, couldn't find an NZ version. It was my first time in New Zealand, and though I was unlucky with my timing in Australia a few years ago (I was only able to try a Seared Tandoori Snack Wrap), I was able to sample New Zealand's promotional 'Chicken Scorcher'. 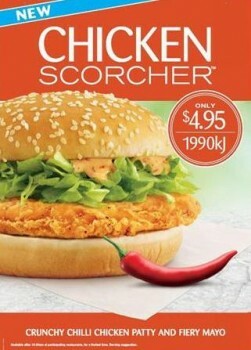 It was available in Australia a few weeks prior (promotional photo shown above) and was just now making across the Tasman. 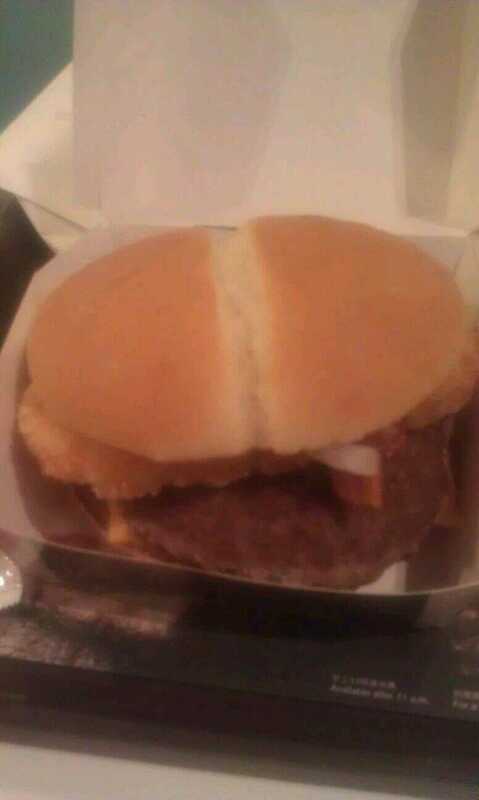 I debated ordering this as I have had other 'Spicy' chicken sandwiches in other countries, or the other unique sounding item on the menu, 'The Boss', but when I asked the girl at the counter what it was, and she described it as 'A Big Mac without the middle bread' it made the decision for me. I also opted for on of the 4 new McFlurry flavours. 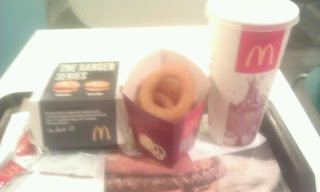 The Bubblegum Squash sounded and looked the most disgusting, so that was the one I went for. I was hoping for something a little more special, like the KiwiBurger (a burger topped with beetroot and other things) that they offer during limited times, but I wasn't so lucky, hopefully next time. 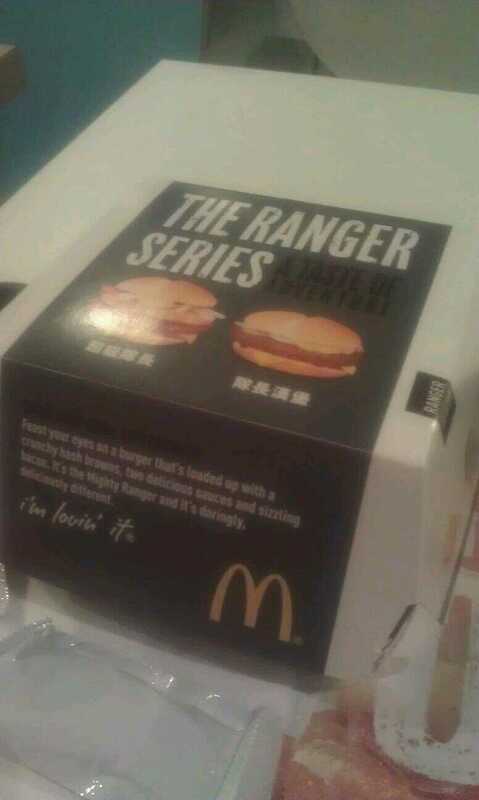 My friend Hugh, just messaged me with the new Hong Kong promotional item, the Mighty Ranger Burger. A quarter pounder, topped with a hashbrown, bacon, mustard sauce and a pepper sauce, served with onion rings! Sounds pretty good if you ask me, and though I probably won't be in HK soon enough to try it. 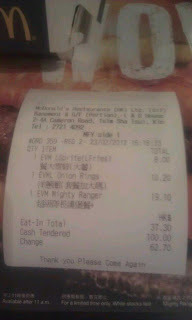 It will be 37.30HKD for the combo and will probably be offered only in March 2012. 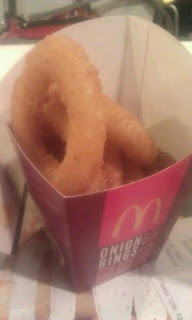 I don't see how you managed to resist something called "The Boss".